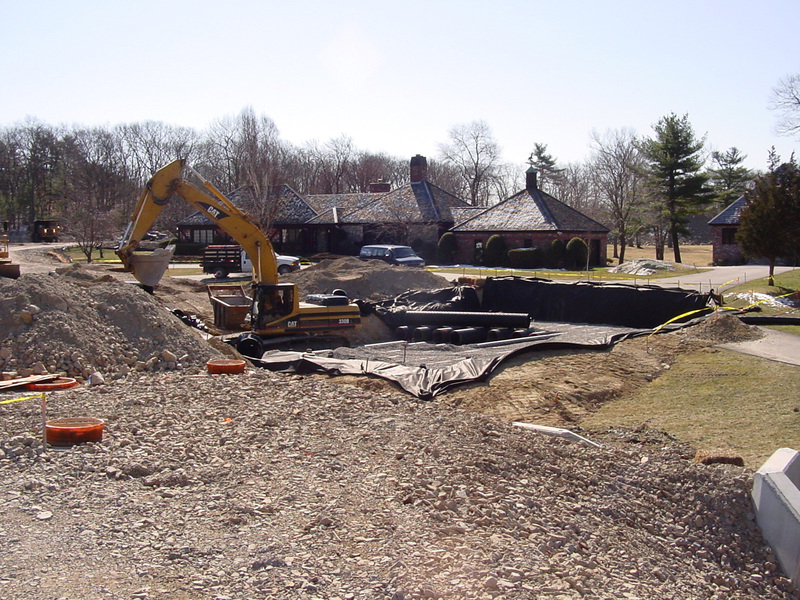 In addition to our building construction services, Stivaletta Construction offers residential and site contracting, general contracting, complete site work, as well as specializing in individual home lots. Please view our bulleted lists below and click on the photos to see some of our projects in more detail. Feel free to call us for more information or to ask for a formal proposal or bid. We thank you for the opportunity to talk and look forward to hearing from you in the future. Site work is very demanding. Whether it is road work or several lots ready for foundations. Stivaletta delivers on time and on budget. Let us bid on your small and large projects and provide you with great service. We are not only site contractors but also developers. Like yourselves, we have built many home in the New England area. We know what steps to take to complete the job and do it right the first time. Install 6" and 2" inserts for location and elevations of sewer and water in foundation. Stivaletta Construction is backed by a team of experienced operators and vendors to supply your needs. Let us demonstrate how we can make life easier. Please call at your earliest convience.